Neuroscience is the study of brain-behavior relationships. The Neuroscience Program at Colgate is one of the first two established at undergraduate institutions in the U.S. While a growing number of institutions now offer an undergraduate major in neuroscience, a distinctive feature of Colgate’s neuroscience program is its interdisciplinary faculty having appointments in the Department of Psychology, which includes a cell biologist/neurochemist, a zoologist/neurophysiologist, a physiological psychologist, a vision scientist, neurobiologist, behavioral geneticist, and a cognitive neuroscientist. Majors also take courses in the fields of chemistry, biology, physics, and psychology. In addition to a broad education, the program offers students the opportunity to focus their research interests on a variety of levels of nervous system functioning, ranging from the activity of single neurons to the behavior of complex organisms. The William E. and Nellie K. Edmonston Neuroscience Award — awarded annually to the senior neuroscience major(s) who, in the course of pursuing the major, demonstrate(s) academic excellence, a noteworthy dedication to the field of neuroscience, and an outstanding quality of intellectual curiosity. 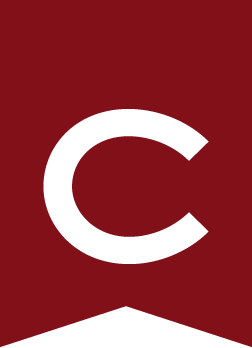 Transfer of major credit from other institutions for students already matriculated at Colgate requires prior written permission from the registrar and the coordinator of the neuroscience program. Major GPA of 3.50 or better, calculated across all courses counting toward the major (including NEUR 499 ). Major GPA of 3.70 or better, calculated across all courses counting toward the major (including NEUR 499 ). Majors may spend a semester at the National Institutes of Health in Bethesda, Maryland, to carry out biomedical research and take courses. In addition, Colgate sponsors a study-abroad program in the natural sciences and mathematics at Cardiff University in Wales, and at the University of Wollongong near Sydney, Australia. See Off-Campus Study .